Thus begins the tale of the unlikely hero who finds himself on a life-changing journey alongside a witty Donkey and a ferocious Princess who resists her rescue. Toss into the mix the vertically-challenged Lord Farquaad, a cookie with an attitude and over a dozen other fairy tale misfits, and you've got the kind of mess that calls for a real hero. 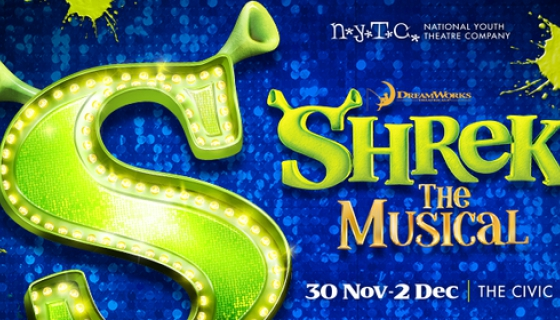 The National Youth Theatre Company presents the Auckland premiere of 'Shrek the Musical'. A Tony Award-winning fairy tale adventure, starring all new songs from Jeanine Tesori and a side-splitting book by David Lindsay-Abaire. Shrek brings all your favourite characters you know from the film to life on stage and proves there's more to the story than meets the ears. With a cast of over 200 of the most brilliant young performers from all over the Auckland region and an incredible live band, Shrek delivers a magical night out for the whole family, in a not-to-be-missed, side-splitting adventure of fairy tale proportions. Four shows only, and no extension is possible so don't miss out!